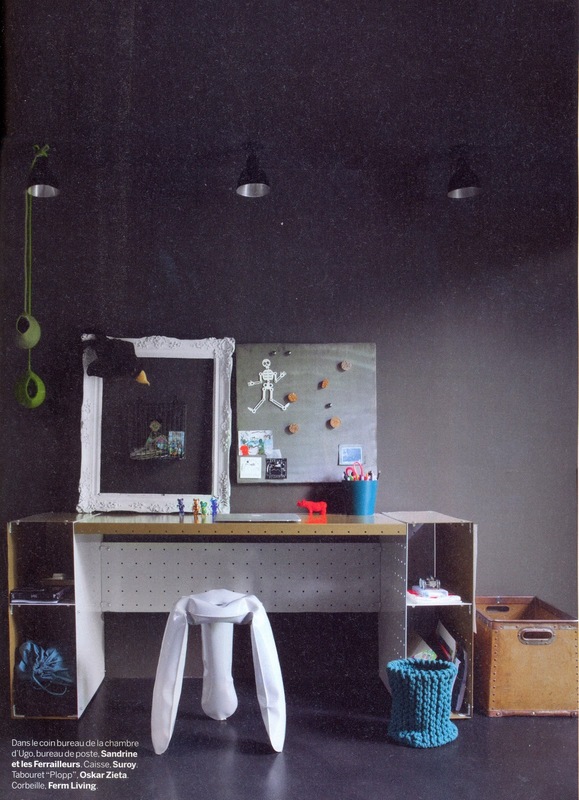 In total contrast to last week's all-white kids' decor post, I'd like to share these photographs of Ugo and Léa's bedrooms in a loft in the suburbs of Paris. Loyal Milk readers will recognise Serendipity founder Laurence Simoncini's stunning home and will have probably been as excited as I was when I opened the current issue of the magazine. Or were you? 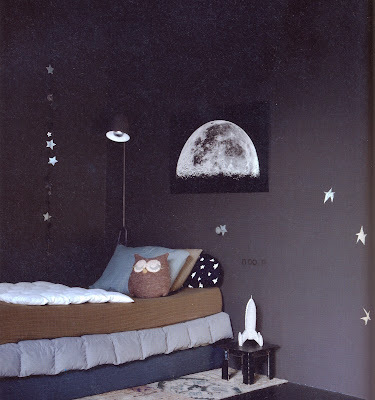 What do you think about black and grey rooms for children? 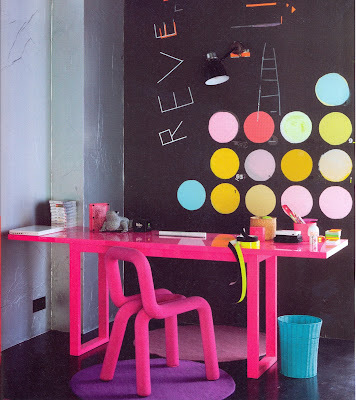 Are you keen on black with pops of colour? Is it something you'd like to try? Do you think it's 'suitable' for kids? Is it something you could live with on a day to day basis? I'd love to know your thoughts on this one. Quite honestly, if we had the right space, I'd be giving this a go, my eldest son Dylan (almost 16) really loved these rooms. Thank you for your response to my request for photos of children's rooms. I am putting together my first post about a lovely little girl's space in Berlin and hope to have that online early next week. Then we'll be flying off to Scotland, Poland, Egypt, India... it's going to be fun, I hope you enjoy the ride! Courtesy of Milk Magazine, Merci ! J'aime autant ce gris profond que le blanc...et je suis sur que j'oserai !